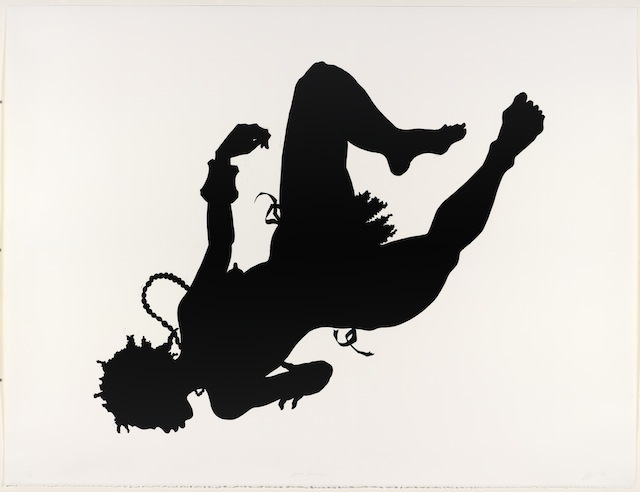 Kara Walker, “African/American,” edition 22/40 (1998). Linocut, framed: 44 x 62.” All images courtesy of the Jordan Schnitzer Museum of Art at the University of Oregon and © Kara Walker. EUGENE, Oregon — The Black Portlanders, a blog initiated by Intisar Abioto that focuses on the black experience in Portland, recently posted a letter seeking to raise money for their project. In this appeal, Abioto discusses the bizarrely racist history of an über-crunchy state, including the fact that black people were written out of Oregon’s 1857 constitution, and these exclusion laws weren’t repealed until 1926. According to data from the U.S. Census Bureau, Oregon currently has a black population of 1.8%, and in Portland that percentage is at a mere 6.3%. But in Eugene, a city two hours from Portland with a black population of 1.4%, there’s a powerful, very much apropos exhibition by Kara Walker, aptly titled Emancipating the Past: Kara Walker’s Tales of Slavery and Power. Walker’s solo exhibition occupies the Barker Gallery of the Jordan Schnitzer Museum of Art at the University of Oregon in Eugene. It is neatly curated into four sections: “The Emancipation Approximation,” a 26-page portfolio of silkscreen prints that combines slave-era stories with the Greek myth of Leda the swan; “Silhouettes & Stereotypes,” a collection of black characters cut into silhouettes and stereotypes such as chicken; “Harper’s Pictorial History of the Civil War (Annotated)” in which Walker blows up illustrations from Harper’s Weekly and inserts the violence toward African-Americans that was left out by the white people who wrote this text; and Walker’s video art, in which she uses a shadow-puppet technique to tell the story of a young black family that was brutally attacked in their home shortly after slavery ended. Each portion of the exhibition builds on the other, presenting a complete portrait of Walker’s oeuvre. Walker’s work serves to both shock and flatten the violent acts toward African-American people, so much so that by the end one is just waiting for another portrayal of lynching or sexualized violence. Of course, Walker does this in order to discuss exactly that — the way that African-American people were treated as non-humans at this time in American history. The systematic oppression of people of color continues today, and if nothing else artwork like Peggy Noland’s Oprah dresses or Dasha Zhukova’s “Buro 24/7” proves that it’s still quite easy for white people to conveniently forget America’s history of racism. 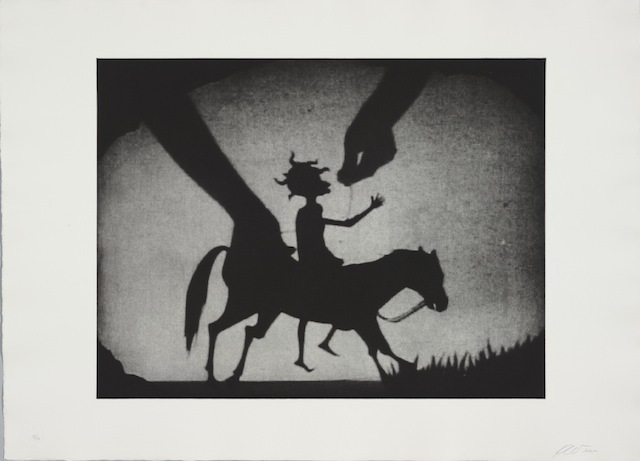 Kara Walker, “The Emancipation Approximation (Scene #23),” (1999-2000). Screenprint. Walker discovered the true story of a vicious attack on an African-American family through her own research into the Freedman’s Bureau. 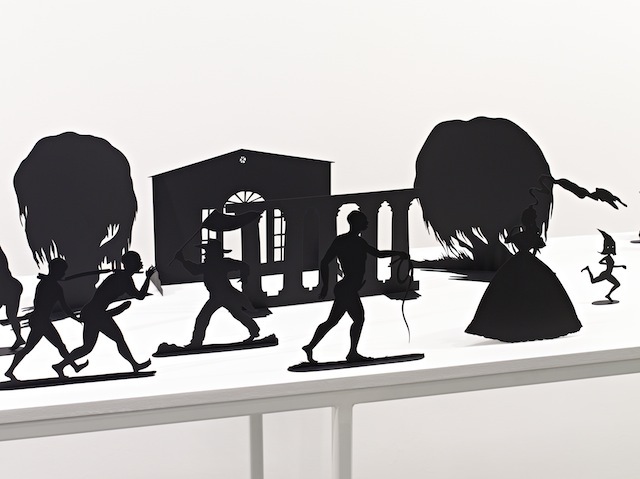 The cold language of the original text, which is unfortunately not shown alongside the video, is translated into a shadow puppet-led dramatic upheaval that is at first as difficult to watch as many of Walker’s silhouettes are to view. Yet after awhile, the shock wears off and the violence within that historical period becomes flattened, and we are reminded that this type of attack isn’t unique or even unusual today, either. 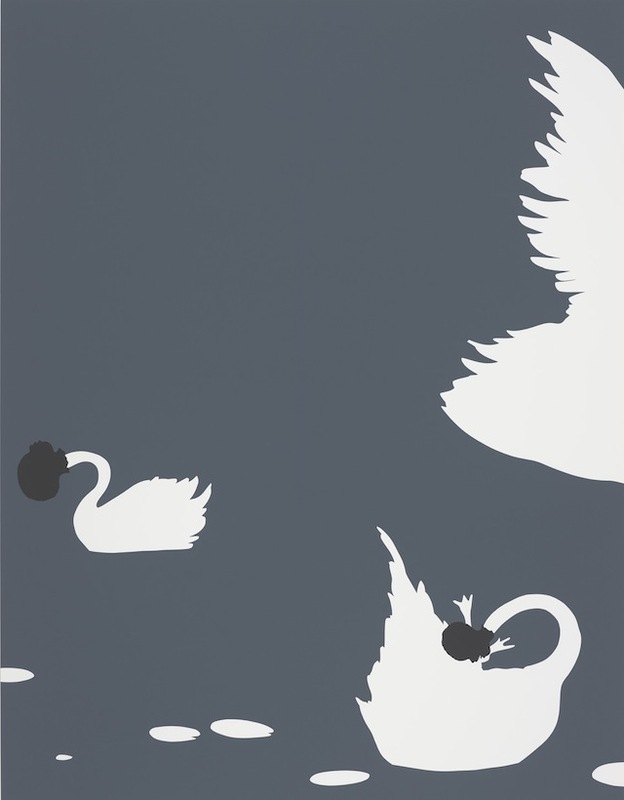 Kara Walker, “Testimony” (2005). Photogravure. Emancipating the Past: Kara Walker’s Tales of Slavery and Power runs through April 6 at the Jordan Schnitzer Museum of Art (1430 Johnson Lane, Eugene, Oregon).